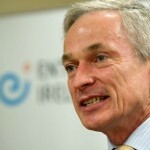 On 12th July last, Deputy Aengus Ó Snodaigh asked the Minister for Jobs, Enterprise and Innovation about the steps he is taking to ensure that small and medium enterprises will avail of all supports for research and development. “The Industry Research and Development Group (IRDG) Innovation Network, supported by Enterprise Ireland, has been undertaking a range of successful seminars around the country including seminars on R&D Tax Credits (including a workshop on Audits), an event devoted to Services Innovation in Waterford and promotion of collaboration through the “Supporting Business In The Mid-West” seminar held at the University of Limerick. This seminar was designed to highlight the benefits of collaboration with Higher Education Institutes for businesses in the Mid-West”. Very Best of Seasonal Wishes to All our Members & Friends!